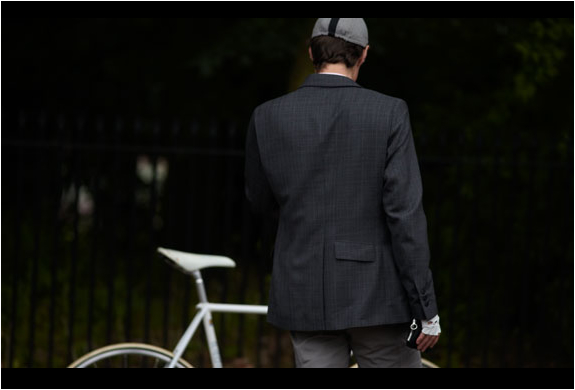 This is one stylish jacket, Rapha’s Tailored Jacket is Savile Row tailoring meets performance city riding apparel. 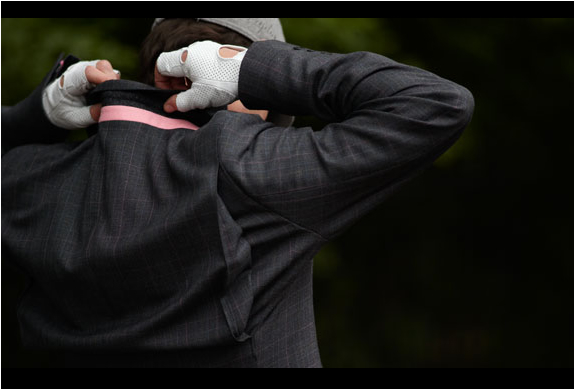 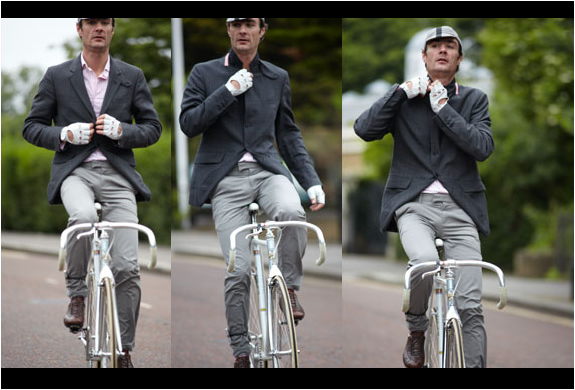 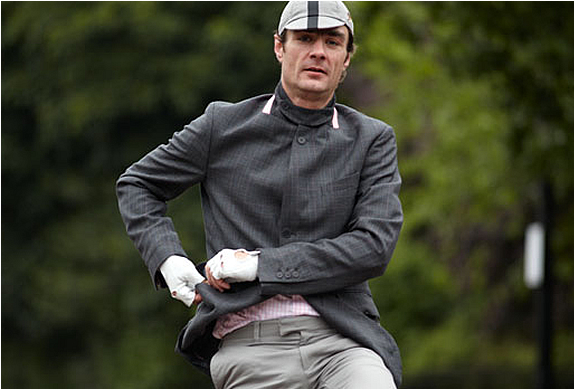 The jacket is a pioneering collaboration between Rapha and Timothy Everest, one of Britain’s leading bespoke tailors. 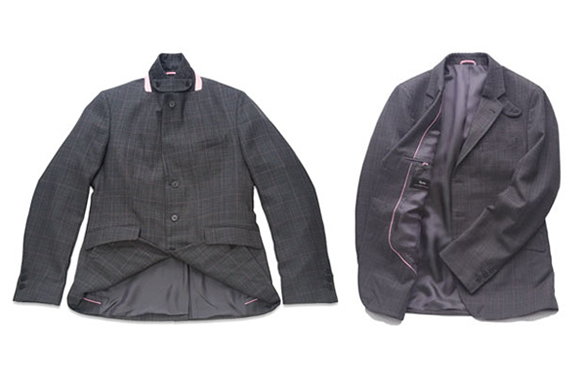 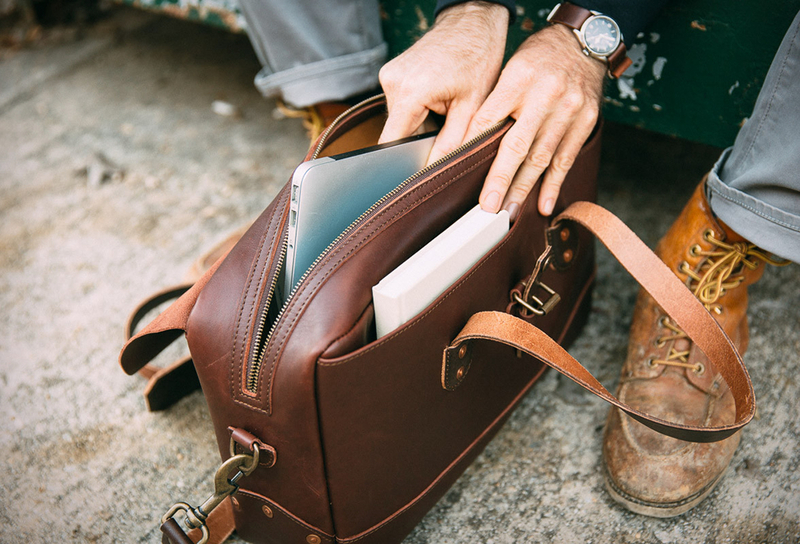 It´s a two-button jacket when worn with the collar down, when turned up two hidden buttons come into play to provide secure protection from the elements.